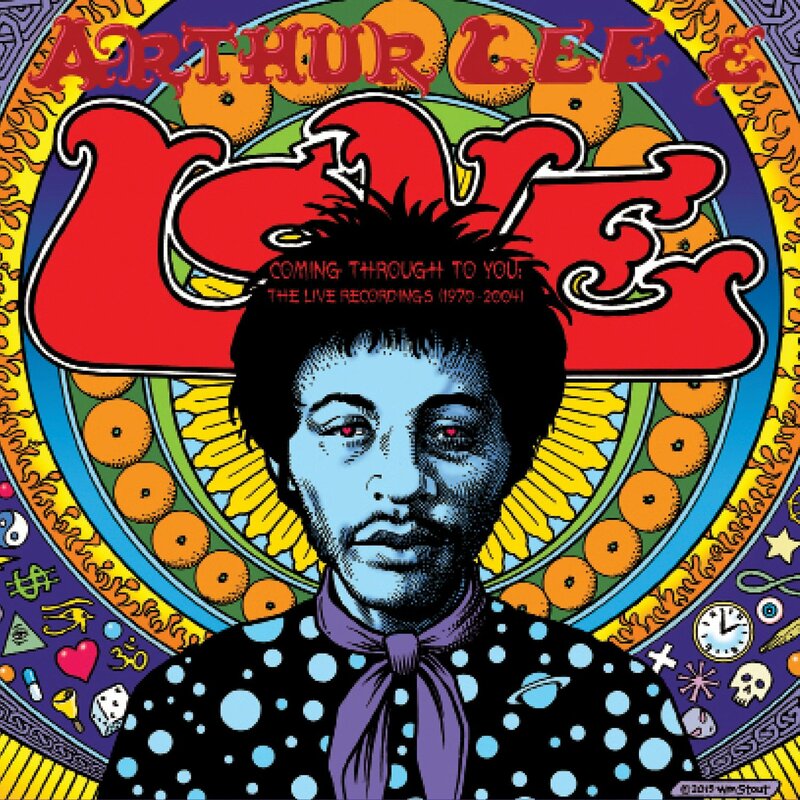 Arthur Lee was a famously mercurial bandleader. He turned down the Monterey Pop Festival, Woodstock and the Ed Sullivan Show, believing his music should have top billing or none at all. His hardline go-it-alone policy ensured Love’s cult status for all time. But he was as chaotic as he was dogmatic: he once sacked a Love guitarist (Jay Donnellan) for suggesting the band should aim to arrive at gigs more promptly – or at least on the day they were scheduled to take place . This set is a collection of rare live recordings, from a variety of venues, that originated between 1970 and 2004 . 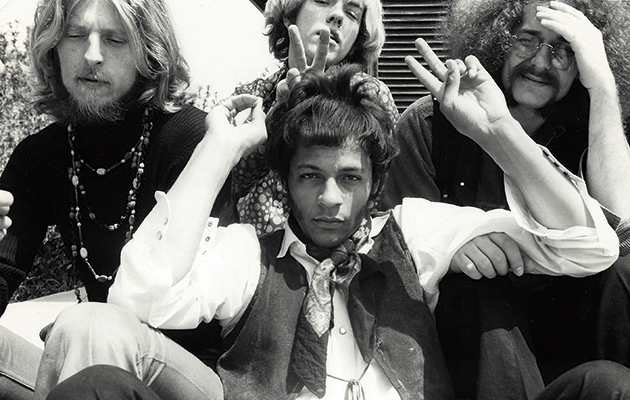 Produced by renowned archivist David Skye, with the blessing and participation of Diane Lee, Arthur Lee’s widow. This is the first time a large collection of Arthur Lee & Love career spanning live recordings are being made available to the public. Eight of the 14 songs on the first disc have been released before – either on Studio/Live (1982) or The Blue Thumb Recordings (2007) – but six from Copenhagen and the Fillmore West, while known to bootleggers, are previously unissued. None would score high on subtlety. Sensitive listeners may quail at a turbo-charged “Bummer In The Summer” (at Waltham Forest Technical College), but that’s got to be better, surely, than Lee’s off-key caterwauling on “Good Times” in Denmark a fortnight later. We next encounter him at the BBC in 1992, promoting a comeback album (Arthur Lee & Love – Five String Serenade) with an acoustic session for Radio 1’s Richard Skinner. Feted by a new generation, Lee would see his fortunes improve. Disc Two follows him on the promo trail to Amsterdam (for a shaky “Alone Again Or” and a half-remembered “Hey Joe”) and to 1993 and 1996 gigs in Massachusetts and Odense. Close-up microphones intrude on every faltering guitar chord (“Signed D.C.”), but they also bear witness to Lee’s rediscovery of his golden voice. That majestic, heavenly warble! This, we sense, is a vision of the old Arthur. When a young flautist is brought onstage for “She Comes In Colors” – the 48-year-old Lee was happy to revisit Da Capo by 1993, much to the audience’s delight – her songbird trills seem to sing of a musical renaissance. “7 & 7 Is”, tackled at thrilling speed in Odense, is further evidence of a prodigal return. Within months, however, Lee was in a California prison, gaoled for illegally discharging a firearm. This vinyl package contains a 16 page booklet and cover artwork was designed by illustrator William Stout, internationally renowned as one of the first rock n roll bootleg cover artists. Stout also designed legitimate album covers for The Who, The Beach Boys, The Ramones, and The Smithereens and the original Rocky Rhino mascot.